From Boston to the Cape, and Rhode Island. 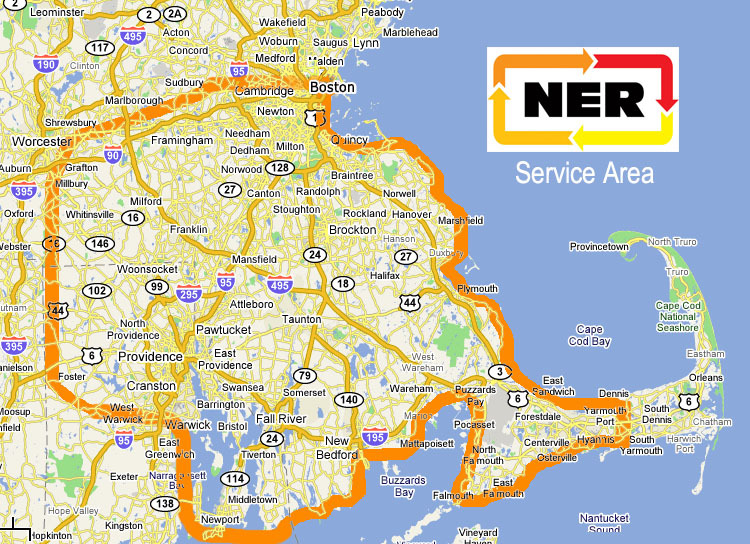 We deliver dumpsters and containers and mulch to many towns in Rhode Island and Massachusetts. These towns include: Taunton, Berkley, Dighton, North Dighton, Rehoboth, Raynham, Norton, Freetown, Assonet, Easton, Mansfield, Lakeville, Middleboro, Carver, Plymouth, Somerset, Swansea, Seekonk, East Providence, Attleboro, North Attleboro, Fall River, Tiverton, Bridgewater, West Bridgewater, Brockton, Rockland, Halifax, Duxbury, Wrentham, Plainville, Foxboro, Bellingham, Franklin, Milford, Milton, Avon, Braintree, Marlborough, Falmouth, Wareham, Westport, Dartmouth, Rochester, New Bedford, Little Compton, Pawtucket, Providence, Johnston, Cranston, Warwick, West Warwick, Woonsocket, North Providence, Central Falls, Lincoln, Portsmouth, Newport, Jamestown, Kingston, Bristol, Warren, and Barrington.